There are TWO Geneaology Interest Groups that run at SeniorNet. The first meets on the 2nd Friday of each month from 2.30 – 4.30pm. The second meets on the last Tuesday of each month from 7.30pm. GIG member names go on a mailing list so that you can be kept in touch with the activities such as researching your ancestry using the Internet and genealogy software. 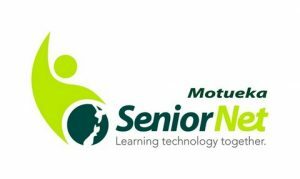 SeniorNet provides CDs and books to help you. The computers, at the clubrooms, have a Genealogy programme entitled “Brother’s Keeper” installed. We spend time learning how to use this, and a Genealogy Course is offered for those interested to take their research further. Other activities are creating “Time Lines”, “Photo Story”, demonstrations on different websites, with a chance for a “hands on” experience. Writing a chapter or two about one’s life or memories and sharing it with the group is always entertaining and enjoyable. It is useful for members to have Word skills but it is not a necessary requirement. Introduction to basic and free Internet search sites – Familysearch, FreeBMD, GENUKI, OPC sites etc . Search techniques, cross matching references to build the picture and confirm data. Using pay and subscription sites – Ancestry.com, Origins, Findmypast, Scotland’s People etc. More on pay sites and using Mailing Lists . Hands on session using pay and free sites . Exploring online sources for New Zealand, Australia, Ireland. South Africa etc . 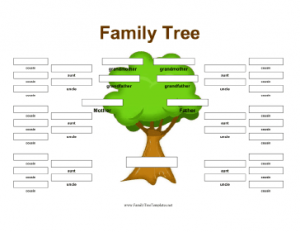 Looking at and comparing several Family Tree database programs . Some of these areas/topics will take more than one session and members may have ideas for other types of research. Email Ann Bassford to know more about the Friday afternoon group. * Recording – Covering the use of various Genealogy software programmes for both MAC & PC. What should a programme do for you? What is important in a programme. How to use a programme. How to file all your paper research etc. * Preserving your Family History – Photos, documents , digital imaging to enable decluttering…and other handy hints to save our past histories. ‘Preserving the past for the future’ – basic conservation techniques etc. The topic range is endless but it is focused, in the main, by the needs and queries of those attending the session. Email Philippa Parkes to know more about the Tuesday evening group.